College Admission Central was built for you, the empowered high school student, who demands the best services, information, and technology required for success when applying to college. We started with a clean slate and developed a resource site containing the most comprehensive suite of admission resources and tech ever assembled under one roof – all designed for the way students today want to learn and work: at their own pace and schedule, with the devices they're most comfortable using. That's why we support iPhone, Android, tablets, and other web-connected devices, in addition to desktops and notebooks. The subscriber model allows us to provide you with an unheard-of level of access to exclusive information resources, apps, and personalized services, at a price that’s affordable for every family. Purchase ANY of our exclusive admissions products to become a lifetime subscriber at no extra charge! Join College Admission Central absolutely risk-free. If you are not pleased with your subscription for any reason, you are entitled to our 30 day, no hassle, no questions asked, money-back guarantee. If you’re not blown away by the value you’re getting for your small investment, we’ll cheerfully return your money in full. You won’t need to speak to anyone or jump through any flaming hoops to get your money back; just click the “Cancel Subscription” button and your account will be credited promptly. 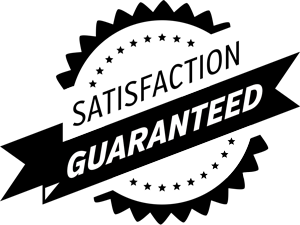 College Admission Central can offer you this super-strong, iron-clad guarantee because we don’t think you’ll ever want to push that button. We're therefore willing to take all the risk. College Admission Central has a single mission and priority: to put our students' interests ahead of all others. We advocate for YOU. Our opinions and recommendations are never swayed by sponsorship dollars. College Admission Central accepts no promotional funding from colleges or outside organizations. Don't Just Dream About Getting Accepted… Make it Happen! © Copyright 2019 by College Admission Central, LLC. All Rights Reserved. AdmissionMap™, EssaySuite™, PocketScheduler™, ResuMotiv™, AcceptanceMentor™, AdmissionMarketplace™, and CollegeJabber™ are trademarks of College Admission Central, LLC.